Here we are with the very delayed Tru Bru Bear Club pack for May. This was delayed for a number of reasons; kegs missing, Good Beer Week etc. Now we're here though and I can once again run you through why you need to join Australia's best beer club! My pack is a little different to some others, what with needing to get most drunk before Europe, but I'll go through it anyway for you. Some of these were GABS beers, a great opportunity to try many of these one off beers in a higher volume than the 85ml samplings. There's also 4 beers which I brought over to Europe with me, so it will be interesting to see how they travel. Let's get into this review. Amager Shadow Pictures was first up for me, it's an Imperial IPA absolutely full of passionfruit flavours. There's a nice amount of pine there as well and it's particularly well rounded. Apparently it's a collaboration between Amager and an American brewery; Grassroots from Vermont. I hope I can get my hands on more of this in the future, it's great! 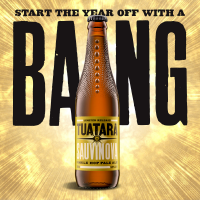 One of the best Pale Ale's I've had in a long time was the Tuatara Sauvinova. It's a Single Hop Pale Ale and it was delicious - packed full of tropical fruit flavours. It's quite bitter for the style, but I loved it! This one is available in bottleshops around the traps at the moment so keep an eye out. 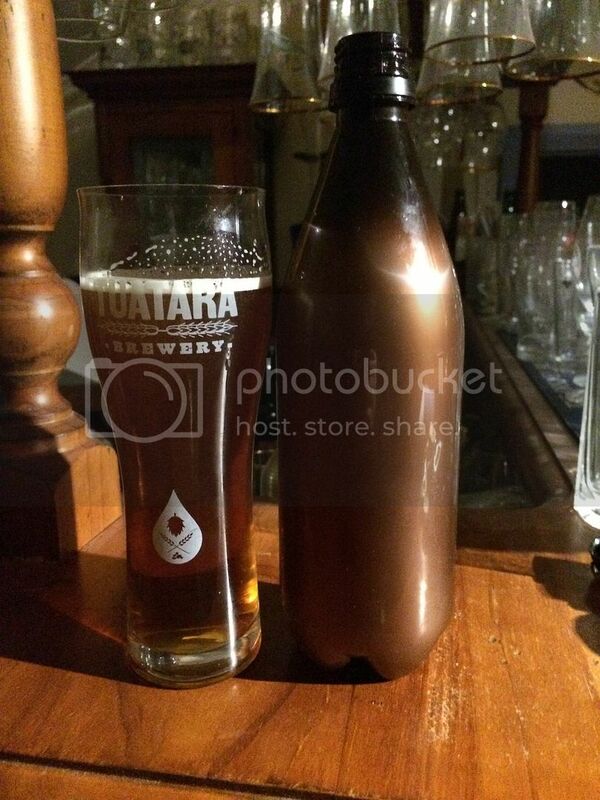 Tuatara provided a second beer in my Bear Club pack; their Double Trouble. It's a great IPA with an even better label, if you buy the bottle you get 3D glasses to accompany it. Be warned; it's hopped to the hilt! Some of you who email me about the, at times, hop dominated focus of this blog - skip this one! It's got massive tropical fruit notes and IBU's, reportedly 167! The first Australian beer in this pack comes from regional Victoria, Tooborac to be precise. The Tooborac Hotel has had a makeover in recent years and established a brewery pumping out some pretty good stuff. Maple Cream is their latest offering, an American Brown Ale which had Maple syrup adding throughout brewing. It was nicely, not overly, sweet and creamy with clear signs of the Maple syrup. I liked it, but wouldn't say it was particularly memorable. Big Shed Brewing Concern's Golden Stout Time was their GABS beer, and it was SENSATIONAL! I didn't have it at GABS, but it would have had my People's Choice vote. It set out to be a Golden Gay Time (the icecream) flavoured stout, and it absolutely nailed it! If you like the icecream, go find this beer while there is still some out there. I REALLY hope this is one that gets re-brewed!!! 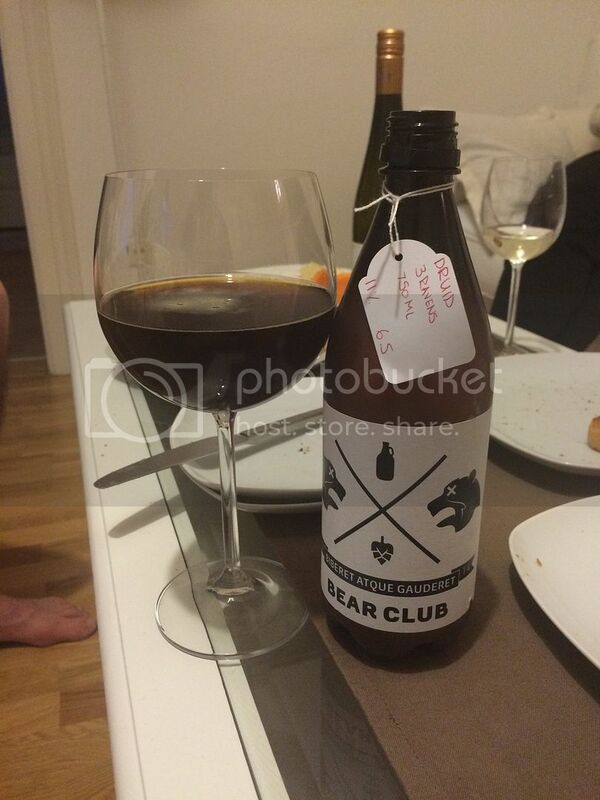 3 Ravens Little Raven Russian Imperial Stout was the last of my Bear Club beer to be consumed in Australia. The flavour was good, with roastiness and really impressive oakiness - assumedly from the aging process. I thought for 9.5% the body was a little thin. I'm not sure I would drink this beer again, but it's not bad. My first Tru Bru beer overseas was also from 3 Ravens. It's one of my favourites from them; The Druid. I sampled this in Vienna and I'm pleased to report that it survived the journey perfectly! This is the second batch of this beer and it's been aged in the same barrels. This version is similar to the first, although it is a little less Px heavy. You can read my full review of batch 1 here. boat on this occasion. It was a wonderfully bitter IPA with nice citrus and fruit flavours. For me, there was a little too much of a vegetal hop flavour, which I wasn't a fan of. This didn't detract from it too much though, I still gave it 4.25 on Untappd. 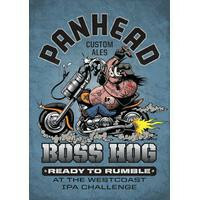 It's a wonderful beer, if you can get your hands on some I would, a recommendation I would extend to all Panhead beers. I had to finish my Tru Bru bottles by the time we took the plane from Budapest to Paris for weight reasons. Budapest, as you will see in the Hungary review to follow shortly, also happened to be the beeriest place by far on our travels so far. Kaks Cotmari was a Black IPA collaboratively brewed by Kaiju and Killer Sprocket. Given the two collaborators I was a bit disappointed with the lack of hops. The malts however were interesting with some smokiness coming through towards the end. Last but not least was the GABS offering from New Zealand's Mike's Organic Brewery. The beer was Black Doris Bam'ba'lambic - a sour Baltic Porter! The idea was excellent and the beer lived up to my expectations. It's exactly what it sounds like it would be, barrel aged, vinegar tartness, chocolatey and roasty malts. I loved it! So there we have it guys, another month of great beers from the Tru Bru Bear Club. The best conclusion to be drawn from this month is that they bottles travel very well internationally - no loss of flavour, or additional off-flavours that I could notice. I'm not 100% sure if there will be a June review for me due to my travels, but if there is join me in 5 or 6 weeks for the low down. Hopefully I'll get Hungary's review up in the next day or so - it'll be a cracker!